In 2015, Deborah Smith – translator of Han Kang’s The Vegetarian – set up Tilted Axis Press, a publishing house dedicated to translated fiction. Tilted Axis is unique; unlike most other publishing houses, it gives and encourages equal recognition to and of its authors and translators. Yewon Jung is translator of their second release, One Hundred Shadows by South Korean author, Jungeun Hwang. This is a strange and quiet novel. Straddling the border between fantasy and realism, it details a phenomenon in a slum in central Seoul – people’s shadows ‘rise’ (literally peeling off the ground) and coax the people away from reality – and follows two protagonists, Eungyo and Mujae, as they slowly, almost noticeably, fall in love. I speak to Jung at the end of summer. She is unwell and, since, has been diagnosed with ovarian cancer; our conversation unfurls slowly, starting and stopping between long sleeps she calls hibernations and spanning across a few weeks. One Hundred Shadows could easily be classified as fantasy; however, the supernatural elements – the ‘rising’ shadows – can also be read as metaphors for very real issues. The shadows, for me, make corporeal the otherwise invisible dangers of living in poverty/on the edges of society. They come to represent depression, anxiety, disillusionment, anger, illness and so on. Our world and the world of this book then overlap; the characters and their fears become relatable to. This drew me to the book. Did this draw you in? Could you relate to the characters in this way? Yes, this drew me to the book. If ever in my life my shadow could have risen, it would have been sometime while I have been unwell. I could easily see myself on the edge of tipping into a void. Working on the translation at a painstakingly slow rate, I formed a stronger attachment to these people, too. Their conversations would play out in my mind with added meaning and intensity. Despite the bleak reality depicted in the book, I felt comfortable visiting and revisiting their world because the people in it seemed always to be doing things at their own pace: Eungyo and Mujae falling behind the others in the woods (and falling in love at a snail’s pace); Yugon, who just seems slow in general – getting a cup of water, a simple enough task for many, somehow demands enormous effort and thought on his part; and of course, the endearing old man at Omusa. They made me feel at ease, because I’ve always liked to do things at my own pace (The main reason I became a freelancer is because I wanted to take my time waking up in the morning, and set my own work hours). And after my health began to spiral out of control, that pace became even slower. When I was on medication, which made me sleep like a kitten (I’m not trying to make myself sound cute; they sleep tons, and fall asleep even while eating sometimes), getting a cup of water did require, I learned, tremendous effort. I came to sympathise more with people who seemed to fumble and come across obstacles no matter what they did; to understand in a very real way that it wasn’t their fault. Good translation is notoriously difficult to describe. To someone just starting out, it’s unclear what is needed in order to be a good translator, and reviewers (probably including myself) I’ve noticed often use similar words to describe good translation (“sensitively translated by” etc). 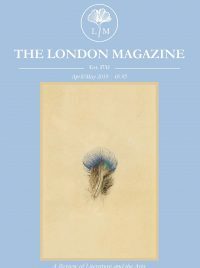 It’s as though there isn’t a language yet to talk about translation and to talk about what makes individual translators unique as individual writers are. How do you define what makes good translation and/or what the skills of translation are? Translating is a strange and mysterious form of art. I’m not sure if the skills of translation are something that can be discussed with clarity. I took classes in translation (though not literature translation), but even then, it wasn’t as though we had this set of skills to learn and master. We learned by doing the work itself, translating a piece of text and critiquing each other’s work. But who’s really to say what’s right and wrong, or rather, what’s good and better? And if something was good, and something else better, how, in what ways specifically? I don’t feel that talking about translation, or trying to discuss the skills of translation, gets me anywhere. Translating is something I just do. I do believe, though, that the more you translate, the better you get. I guess translation skills are something you do acquire, as much as any other skill, but they accumulate so gradually over time that you can’t do just any one thing to suddenly become a good translator. For me, constant reading, an interest in all sorts of miscellany, and a passion for certain pieces of work have kept me going as a translator and loving what I do. 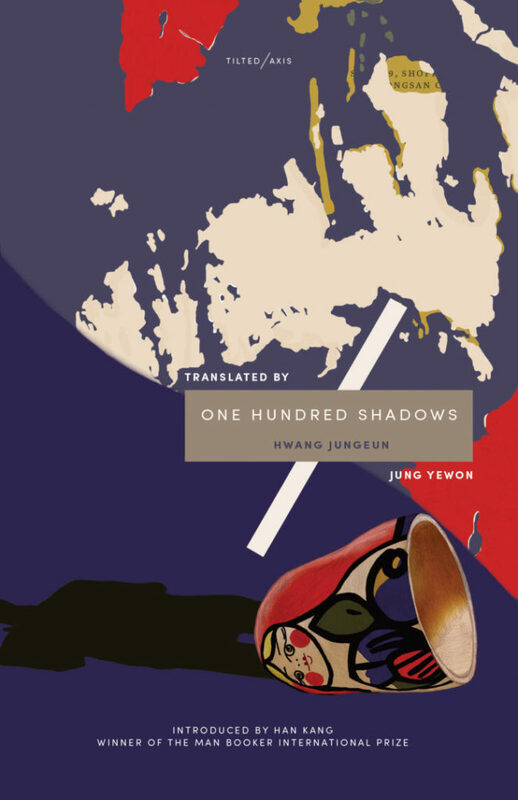 Can you tell me a little about the process of translating One Hundred Shadows? Was there anything you were sad to see lost in the translation? In my first draft, I adhered as closely as I could to the author’s own words, or the essence of what I sensed she was saying. I felt there was nothing to be left out in Hwang’s prose, so poetic and precise is her language. (Maupassant said, of music, “A strange art . . . the most poetic and precise of all the arts, vague as a dream and precise as algebra.” He could have been talking about One Hundred Shadows, I thought.) Was there anything lost in translation? Yes, to be sure–the entire text in Korean. I was almost sad that I couldn’t just have people learn Korean and read this book in the original. But I also believe that every language has its own beauty. In the subsequent drafts, my aim was to have the work read as if it were originally written in English, with its own rich vocabulary, rhythm, and cadence, while maintaining the beauty and integrity of the original text. I feel that the mythical quality of this word added to the otherworldly tone of the book. And the image of misty rain, “slender as spider’s silk,” is something that has stayed with me as I read, translated, and reread the book, with the ambience of a dream it spun. I’m interested in hearing your thoughts on the support the government gives to authors, publishers and translators in South Korea; the government’s efforts in literature seem fixated on the hope that a South Korean author will one day win the Nobel Prize in Literature. This support for literature, no matter what the reason, is something that, to me, is really incredible; something that is quite rare elsewhere in the world. Do you think it is a good thing? 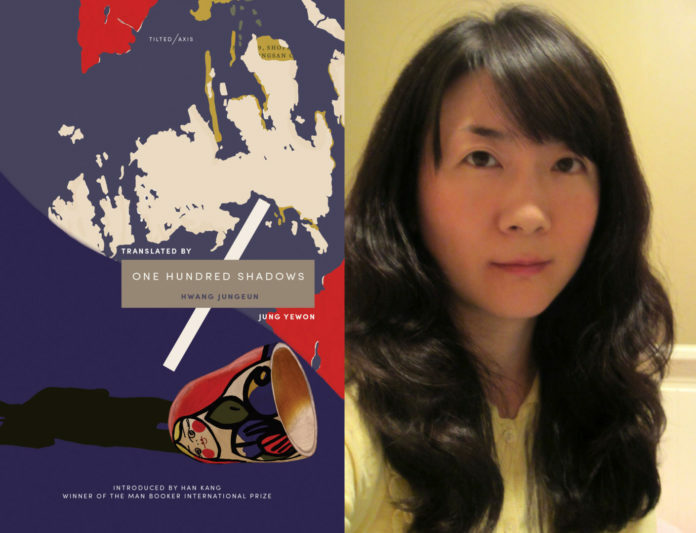 I have benefited from the Korean government’s support in translating literature – I’ve been able to pick out books I loved and wanted to translate, and after applying for and winning grants, receive financial support for doing something I feel passionate about. I have truly appreciated this support; though my aim in translating literature has never been to promote Korea, or Korean literature, even. What I want to do, in the end, is share some good literature that I’ve been lucky enough to come across because I happen to be able to read and understand Korean. The preoccupation in Korea with the Nobel Prize is something that eludes me. I’ve never picked up a book and started reading it just because its author won the Nobel. I’m sure I’d be excited if the author of a book I loved won the prize, but I wouldn’t think any more highly of the book or the author than I always had because of the fact. I’ve had people ask me why I thought Ko Un, the esteemed poet, has “failed to receive” the Nobel Prize; yet they themselves failed to supply me with a clear reason as to why he should receive the prize. Why do they believe he should, when they don’t even love him enough to know one of his poems by heart? It seemed more as if they thought Korea as a nation should win the Nobel Prize, so that it may join the ranks of “culturally superior” nations, and saw the poet as a means through which that may be achieved. I think Korea has a rich enough culture, including its language and literature, to feel secure and to take pride in – and more importantly, to enjoy and appreciate – without having to seek approval or confirmation from the outside world. When people come to genuinely understand and appreciate what they have, instead of being so concerned as to how it compares to what’s out there and how it will be received by others, I think they’ll be less anxious for a certain author to win a prize and more eager to further explore the wealth of literature here by myriads of laudable authors, for the sheer joy of the act; and maybe some will even go on to write something themselves, which will add to the wealth of literature, which will naturally add to the interest from within and without.